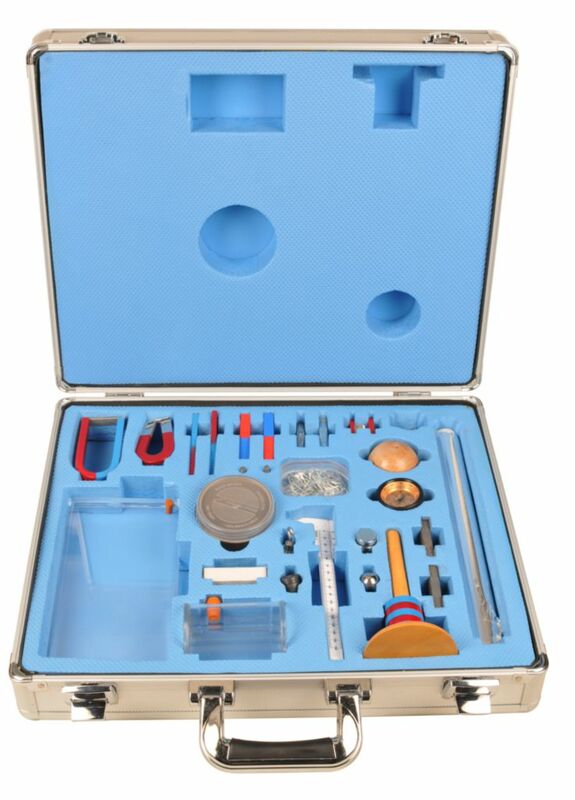 Experiments topics for CENCO® Magnetics System 1 Kit include: magnetic and non-magnetic objects, north and south poles, Earth's magnetic field, observing magnetic field lines, interacting forces, strength of magnets using ferromagnetic chains, eddy currents. 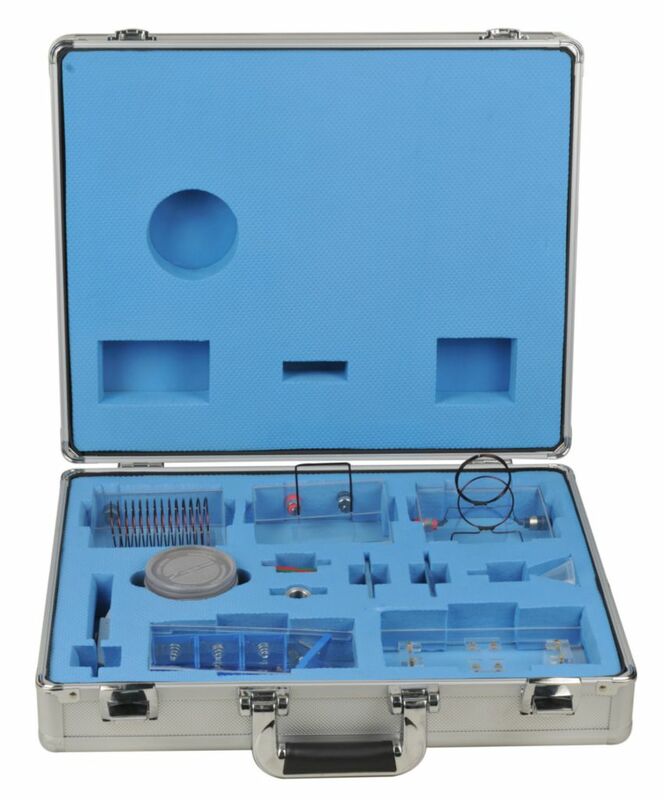 The CENCO® Magnetics System 2 kit features the study of diamagnetic, paramagnetic and ferromagnetic substances, magnetic field lines, current induced magnetic fields. 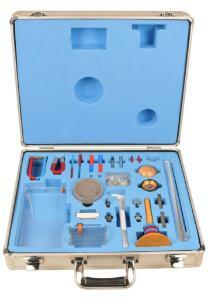 The CENCO® Magnetics System 2 kit includes bar magnets; Iron filings (300g); Support for acrylic plate; Clear acrylic plate to hold permanent magnets; Magnetic needle probe;Plastic funnel; Straight wire conductor in acrylic plate; Long solenoid conductor in clear acrylic plate; Single coil and five coil conductors in clear acrylic plate; Ferromagnetic bars; Paramagnetic aluminum ring (25mm diameter); Push switch; D cell battery holders. Required but included in other CENCO® kits are Banana plug wires 5 (Cenci Electronics System 2), Plotting compasses 10 (CENCO® Magnetics System 1), Ammeters that measures in mA 1 (CENCO®Electronics System 1).